He did some great shows when touring with Bob Dylan in the summers at minor league ball parks. Hot and sweaty, crazy crowds. Just pure and simple, one of the greatest, thank you . One of the most sublime songs of all time - the more so for being so simple. Thanks, Willie. Every time I hear this song, it makes me think of when Willie walked into a small blues bar I was at while living in Tucson in the 1980s. He just walked in off the street and my friend and I had to take a double take to be sure it was who we thought it was. We walked up and told him that we were fans of his music and he thanked us. Then, he preceded to join the local blues band that was playing on the small stage. Of course, one of the songs he played was "Blue Eyes Crying in the Rain," and I was amazed by our luck to be in this small bar at the right time. was it Chicago Bar on Speedway? I hereby nominate this for inclusion in the Great American Songbook, Vol II. This song is just perfection. I love Willie Nelson. And I despise 99% of country music. I mirror your comments esp. the reference to all things twangy (although I adore much acoustic) but I agree this is simply perfection. rating 9+ for me. easy. american legend. You and me both, brother. I used to sing this song while washing dishes at the cafe were I worked part-time to pay tuition. Twenty years old, hardly a dime to my name, but the world was filled with music and possibilities. Seeing Willie & Merle on their last show of their tour next month. Some serious two-steppin' will be going on for sure. spent many hours listening to this album and playing cards in college. Really? After the Shins. Wow, talk about a harsh! Mavis Staples to Willie Nelson. Back-to-back 10s for me. Not his best but almost his best....Freakin love me some Willie!!!! Smokin' one for you Bro! My boss just came in and saw the screen with Willie in the bath. I think my reputation may be tarnished for ever. Loved this song almost my whole life. Playing right after Mavis Staples' "One True Vine" : DELICIOUS! Got to love Wille for both honorably dealing with his IRS issues while all along the way being unapologetic in his love for The Herb. He's a blast in this cool movie too! Oh and thanks for the great wet willie Imkirok!!! Sorry, Dad. I have grown up, and I still don't care for (most) country music. if you mistake the over produced recycled 80s pop that Nashville has decied on, can't blame you. that ain't " COUNTRY "
Absolutely true. It's difficult to hear just one song from this album, the whole is so much larger than the sum of the parts. It is the musical version of an epic. I don't generally like country music. But for me, this song is perfection. Simple, real, well played - an exemplar of what it is. Very difficult not to like. great tune from an awesome album from an extraordinary person! Please remember that there are only two kinds of music: good and bad. Not a giant fan of the Willie man, but have to say this particular tune is an exception. Wait... did I file my taxes for last year? not a big fan of country music... but I find if very hard not to like this song... but then again.. Willie Nelson is not your average country-music singer! What a voice. What a beautiful song. All right . . . downright refreshing to hear the Willie-meister . . . esp. after putting up with a Didgeridoo song a few back . . . Simply one of the classics, but only an 8 rating? I would hate to live in the world those 20 people who rated this a 1 do. We live in the same world as the soulless drudges who espoused these feelings. But we don't have to share the hollow existence that a person who rates Air a 10 and this song a 1. Selah. Legend has it Willie smoked a joint on the roof of the Whitehouse during the Carter administration. I like to think it true. Wonder if secret service had a pull? Its one of those songs that gives me chills every time I hear it. I'm no country music fan but wow! this song is amazing. The criminal charges against Willie are proof we live in a police state, owned by corporations. The sheriff banished the charges, providing Mr. Nelson sung a song. Which he did, and they were. So everyone went away happy. Awesome song! Reminds of a time (1980's) when I was living in Tucson, Az and at a local blues bar when in walks this guy that was a deadringer for Willie Nelson. My friend says to me "Willie wears running shoes just like that." We walked up to him and realized that it was in fact the real Willie. We shook hands and told him we really appreciated his music, and he quietly said thank you. Found out he was in town filming the TV movie "Stagecoach." The best part is joined the local band on stage and played this very song...right place at the right time I guess. Awesome story! Wish I could have seen that. Love this beautiful song. Makes me a little sad for an era of country music that is long gone. Are you folks actually lumping in Willie with "Main Stream Country Music?" Not me. I don't consider Willie part of "Main Stream Country Music." My step-dad had a very eclectic music collection and gave me free run as a teen. He introduced me to Willie and I have enjoyed his music since. This track reminds me of the 'no TV' Sunday policy at home - only music! almost as good as " Angel flying to close to the ground "
I still loathe mainstream country music (actually, I loathe pretty much all mainstream music for that matter) and can't get over a certain contempt and prejudice against people that love that music. It's a character flaw, I know, but it doesn't make it any harder for me to look at myself in the mirror in the morning. Many victims are born into their race, religion or other source of prejudice. You're talking about educated folk who have the sense and sensibilities to change their situation yet choose not to. They've made their redneck bed...let them lay in it. And before y'all start hatin'...please note I was born & raised in Texas and know a few things about rednecks. But at least Liberty Hall is a long way from Nashiville. This song was written for when your house burns down. This is one of the few pure "country" songs I like. I grew up having country music forced down my throat by about 80% of my age group and basically the entire population of the region. And not good country like Willie Nelson, Patsy Cline, or a few other greats. Nope, I got crap by "No Show" Jones, Garth Brooks, and Hank Williams, Jr. It made me hate nearly everything labeled as country. It's only been in the last few years, nearly 10 years removed from where I grew up, that I learned to appreciate some of the truly great country and bluegrass artists. I still loathe mainstream country music (actually, I loathe pretty much all mainstream music for that matter) and can't get over a certain contempt and prejudice against people that love that music. It's a character flaw, I know, but it doesn't make it any harder for me to look at myself in the mirror in the morning. Your Dad was right. I didn't appreciate it until a few years ago, and I'm in my 50s. "New Country" doesn't do it for me so much....but "Classic Country", wow. I can now listen to Willie, Waylon, Johnny, Merle, Tammy, Loretta and Dolly all day long...it is, as i said in a previous post, pure music. Unpretentious. Just bumped it from 9 ==> 10.
great song, but man i need something more high powered in order to effectively clean my house! In a rare moment of sanity, yhe Texas Legislature once passed a bill, declaring Mr. Nelson the "King of Texas". And he still is. Fans of Bob Wills, including Mr. Nelson, might argue that point. But yeah, Willie is one of those artists who transcends description. Timeless. An American treasure of a man, if there ever was. In a rare moment of sanity, the Texas Legislature once passed a bill, declaring Mr. Nelson the "King of Texas". And he still is. 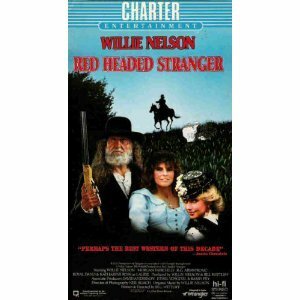 I was never a big Willie Nelson fan. Just didn't dig it. No offense to those who do. That's cool. Singer-songwriter and marijuana enthusiast Willie Nelson could have faced a lengthy jail term after he was arrested for possession in November. 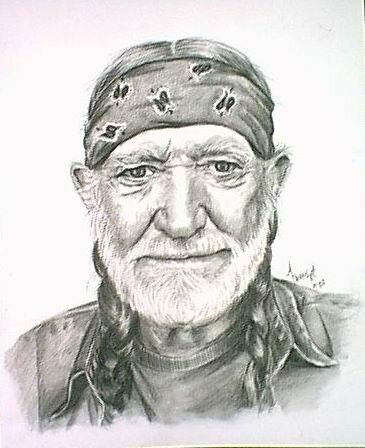 But perhaps the Texas prosecutor has been smoking some of Willie's special cigarettes, because he has agreed to let the 77-year-old legend avoid prison but only if he gives the court a song. Bringing this up, because the song is so closely associated with Mr. Nelson that people assume he wrote it. Thanks, cc_rider. And I still love this song. Soon as I got home from camp? I HAD to have that album. The whole album is a tour de force: a 'concept album', unheard of in the world of Nashville C&W (who'd roundly rejected Mr. Nelson shortly before he went back to Texas to make RHS). One of the high-water marks of the 'album' format, where the whole disc tells a story. Outstanding. OK, I just upped this from 8 to 9. This is not my favourite genre of music, but this is the real thing, and I really, really like it. Beautiful song. 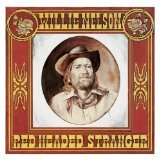 Red Headed Stranger and Stardust are his best, IMHO. Just got into work and this is the first song I hear. It's going to be a great day. I always just assumed Willie wrote this, he is so closely associated with it. Turns out it was written by Fred Rose and first recorded by Roy Acuff. Learn sumthin' new eva day, huh? If I am not mistaken there has been a rain theme all day which is appropriate for the northeast for the last few dreary days… maybe it's wet in paradise too. You forgot one,, he's a pot smoker! Long live, long puff ole Willie!! I love Willie Nelson. He's one of the last of a dying breed - he's a rebel, a poet, an orator, a singer, a songwriter, an independent thinker, a fighter, a patriot, a protester, a spokesman for the farming community... I could go on, but I don't know very many people alive today who wear that many hats with as much class and integrity as Willie Nelson. And this song always makes me cry because of its simplicity and eloquence. Also from Wiki: "This was the last known song that Elvis Presley sang (at the piano in the rest area of his Racquetball Court located to the rear of Graceland) before his death on August 16, 1977..."
If the story is true, that's pretty amazing. Best Willie song in existence...gives me chills still. Let him do what he likes to do. I think I agree. And I'm no fan of his "distinctive" voice, to be honest, but this is lovely. Though I'm sure this movie was intended to be serious, the characters and the unexpected twists and turns had me busting a gut to the point of tears. I've been a fan of the Willster ever since. How do you get that out of the lyrics? I don't see that. The album tells a story. He shot his (ex?) wife and her lover in an earlier song. It took one creepy cop to bust Willie the other day. The cop can take that nightstick and shove it as far as I'm concerned. And I would be happy to tell him too. The only Willie song I like.